There is a parking ramp connected to our medical building, however, there is a fee for parking here as there is no parking validation available for this ramp. Convenient street parking is available and relatively easy to find. 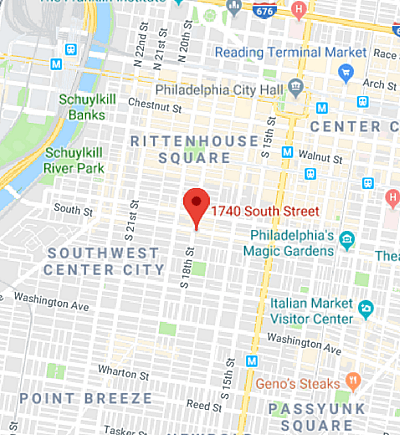 Philadelphia Mind-Body Acupuncture is located about 3.5 blocks south of Rittenhouse Square in Center City, Philadelphia. (near the corner of 18th St and South St).